Ordinarily we avoid reviewing wines that sell for over $100 on Cuvée Corner. Today, I joyfully make an exception. Why? For one very simple reason, I am reviewing a wine from Cathy Corsion, a visionary winemaker with a passion for making vibrant wines that feel untouched and express a sense of place. Passion is an active and occasionally forceful conviction. Cathy Corison discovered hers while reading for a bachelor's degree in Biology (Pomona College in Claremont, CA) and subsequently at UC Davis where she studied for a Master's in Enology. She was inspired by the concept that wine is "alive at every level". Cathy learned her craft making wine for Chappellet Vineyard, Staglin Family Vineyard, York Creek Vineyards and Long Meadow Ranch but ultimately she needed a canvas with which to express her own voice. She spent a long time poring over soil survey maps of land throughout Napa before selecting from benchland vineyards between Rutherford and St. Helena. Here the deep, gravel, alluvial soils provide a fine balance between stress and nurture that Cabernet vines find ideal. Kronos, Cathy’s flagship Cabernet, is a single vineyard production, whose vines are nestled in the loamy, stoney plot (approximately 8 acres) surrounding the winery and tasting room. If I may paraphrase the information she sent me - Spring 2010 brought rain that pushed bud break back a few weeks. The cool growing season was interrupted by a heat spike in August that prompted some selective picking, but cooler temperatures continued until an Indian Summer set in in late September and October brought the grapes to full ripeness. The long, cool season yielded a small crop and a wine of uncommon concentration. 2010 Kronos Vineyard Cabernet Sauvignon - I neatly cut the foil, gingerly prized the cork from its home and poured the contents into a decanter (and a little into my glass). Then… …I stuck my nose right into the glass, smiling as I breathed in the nascent volatiles. It felt a little like cheating but I could not wait and I was not disappointed. I did however allow the wine to breathe for over an hour before beginning my review. From the first sniff, sip and swirl, I fell in love with this wine. From my notes - It feels genuine; suffused with notes of earth and herb, the nose melds black currants and blueberries that are layered upon violets and toasty oak. In a world filled with modernly styled CA Cabernets high in fruit and alcohol and low in acid, Cathy produces elegantly, restrained and yet stunning and fiercely addictive wines. This truly is an outstanding Napa cab. The palate is taut, energetic and exciting. The fruit core is intensely focused, integrating layers of acai and blueberry/boysenberry and blackcurrant/cherry in a stream of sensory stimulation. The dark fruit core is pierced by acidity, lifting them to reveal plum skin, hints of bitter chocolate, spice and espresso. The finish lingers effortlessly, displaying earthy, dusty tannin and white pepper, carried on saline-infused sweet, dark fruit. The color, texture and flavors are vivid, fresh and wholeheartedly real. Cathy avoids overripe, high alcohol wines while retaining intensity, laser-edged purity and structure. 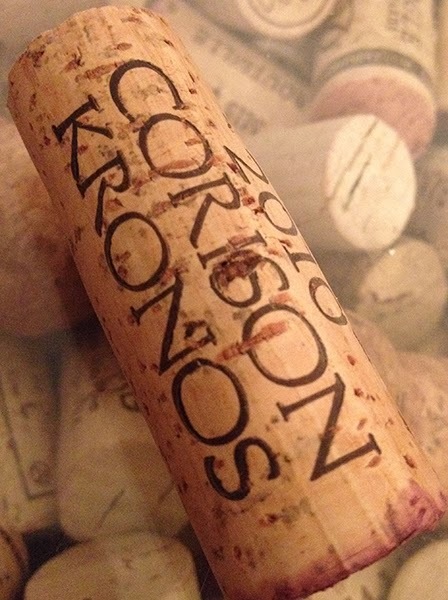 The 2010 Kronos sits at a comfortable 13.6% alc, yet there is nothing under-ripe about this or her other wines. Cathy’s philosophy is to allow the vineyards to express themselves, an idea that requires minimal intervention, sustainable vineyard management and ageing in small French oak barrels. 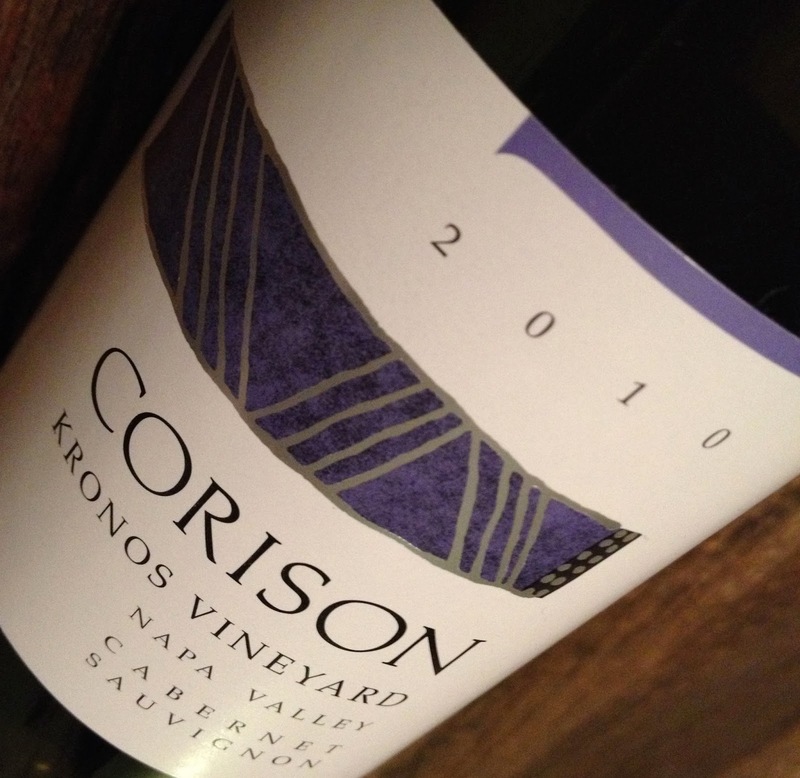 Corison wines provide an outstanding complement to food, as well as favored company. My wife and I enjoyed the Kronos with wonderful steak au poivre - filet mignon (served rare) dressed in a crushed pepper cream sauce combined with Dijon mustard and a little cognac. 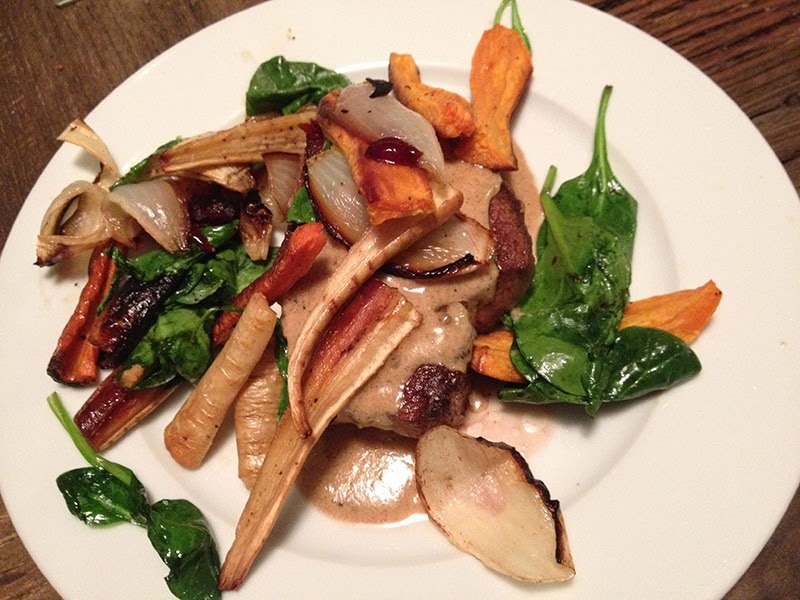 We served it with roast parsnip, sweet potato and carrot. I hope you can imagine the flavors. The food was wonderful, and the wine sang beautifully in their company. It was an exquisite way to spend a valentine’s evening together. A great wine can draw you in. It can capture your attention. Drinking Corison wines can be captivating. The 2010 Kronos engages you in a conversation that you neither want to leave nor hurry. This is a wine to savor, to share, to contemplate and to know that, over the next ten years, its story will become even more interesting, complex and beautiful. I have been fortunate to try multiple vintages of this wine over the years but the 2010 may be the most memorable yet. If you have not treated yourself to one of Cathy’s wines before, this would be an incredible wine with which to start. The 2010 Kronos Cabernet sells for $135/bottle directly from the winery (reach out to Corison for information on distribution). I hesitate to impose a score on such an elegant creature but this has to sit comfortable in the 92-95 point range, and likely leaning towards the upper end of the range as time passes and it gently unwinds. Best after 2017.